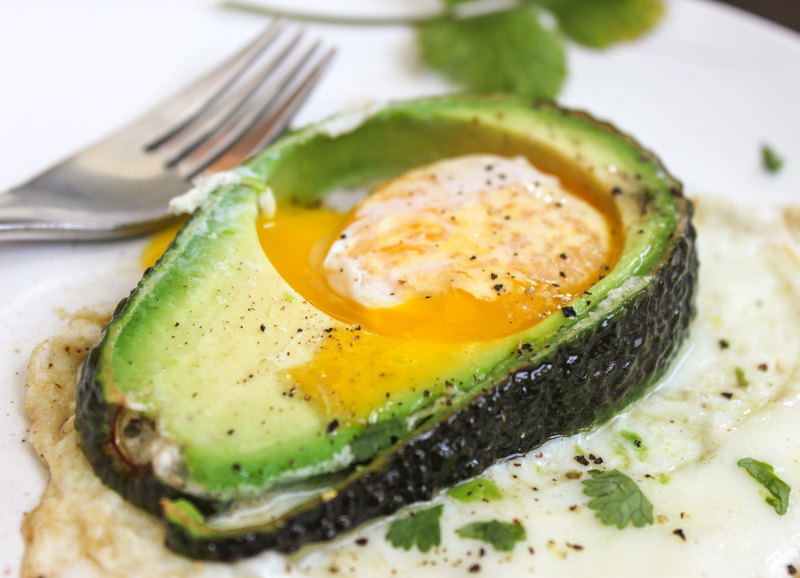 A simple and quick breakfast idea for your next brunch. This recipe is a Californian twist on the breakfast dish, Egg in the Hole. Instead of using bread, I used a thick slice of avocado. Yum! 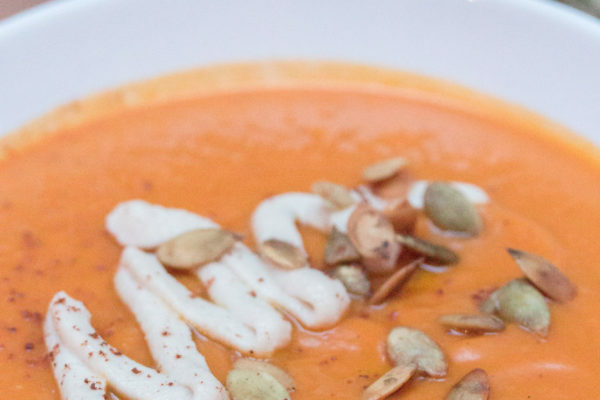 You are going to need a mimosa or two with this one. By the way, this was my very first cooking video…filmed almost a year ago. Man, how I have improved! Not that I don’t have a long way to go. 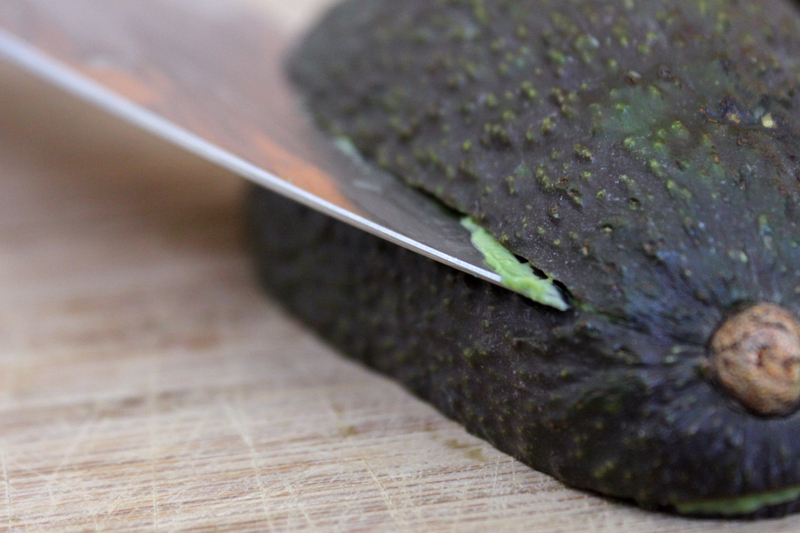 Slice and pit the avocado. 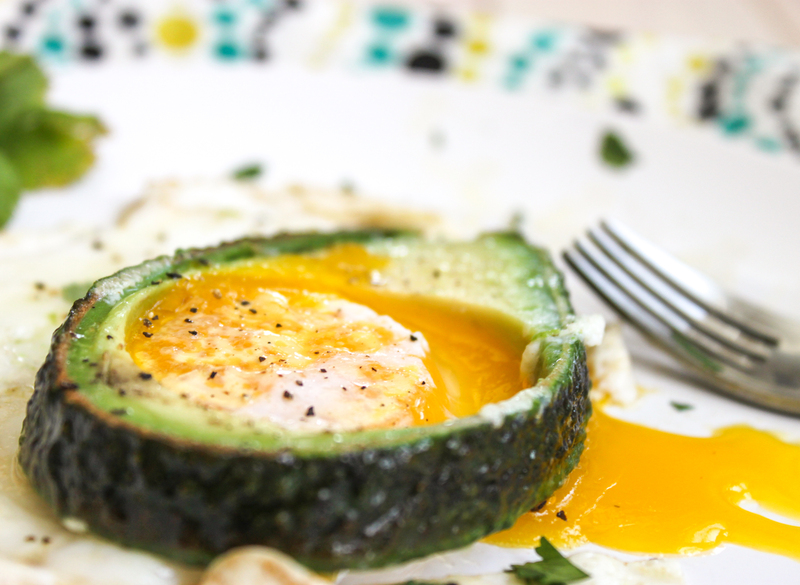 Now, if you are just making this recipe for yourself, be sure to watch my video on How to Keep Avocados Fresh for a Week. I love avos but they are so pricey that you don’t want to waste them. 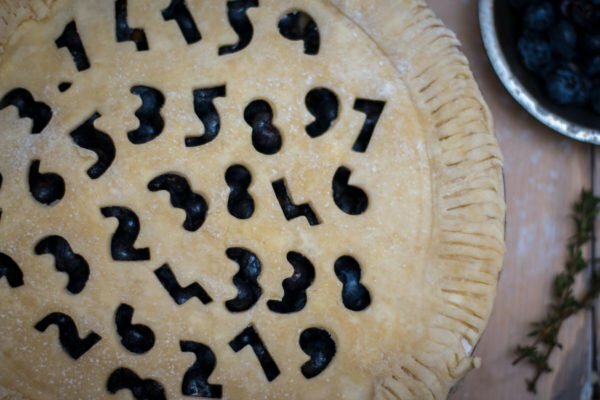 And with my quick tip on storing them, you don’t have to eat them all in one sitting (though I often do). 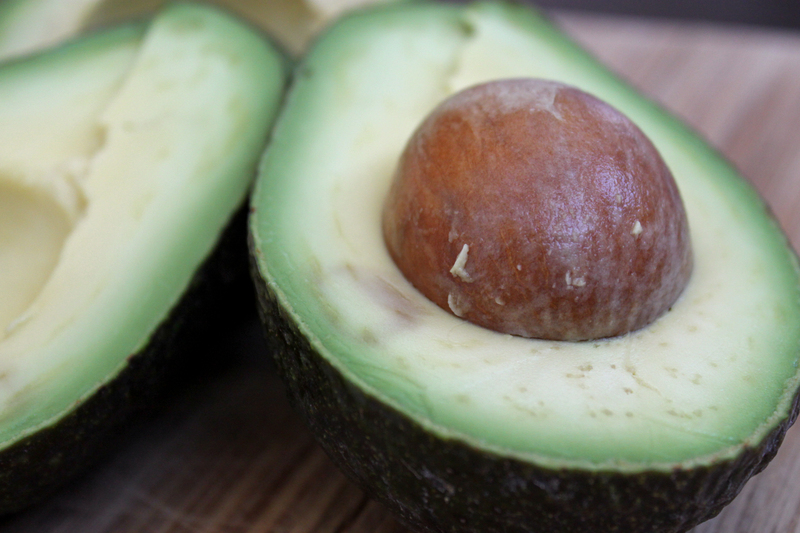 NOTE: FACT: All Hass avocado trees descend from a single “mother tree” raised by a mail carrier named Rudolph Hass, of La Habra Heights, California. It’s a mystery to what species the Hass tree actually descends from. Rudolph Hass patented his tree back in 1935 which then died of root rot in September of 2002. 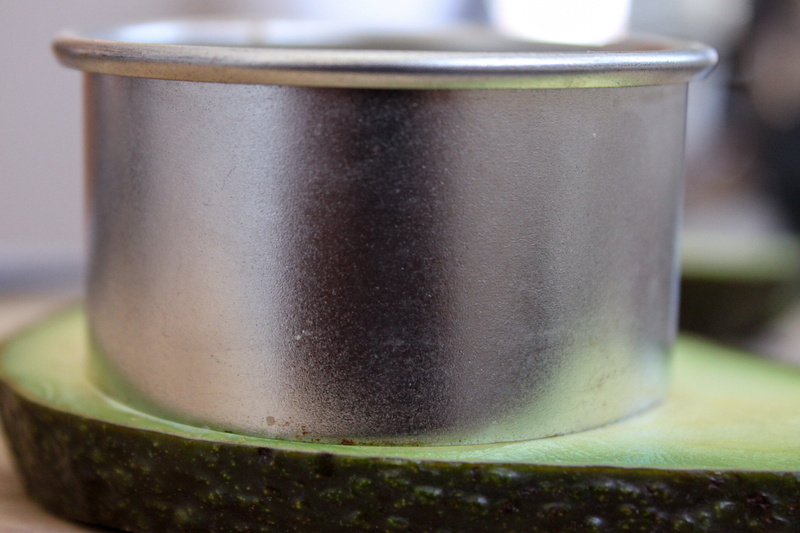 Cut the avocado into slices about 1/2″ thick. I leave the skin on. I like the presentation on the final product and it kinda keeps everything together when you flip the egg. It’s a personal choice. Try both ways and let me know what you prefer. I use large farm eggs so, using a biscuit cutter, I cut out a bit more space for the egg. I just mash up the extra and serve it with this dish. Or eat it right there if you are hungry. Okay, that’s really what I did. Warm a little bit of olive oil in a small frying pan over a medium-high heat. 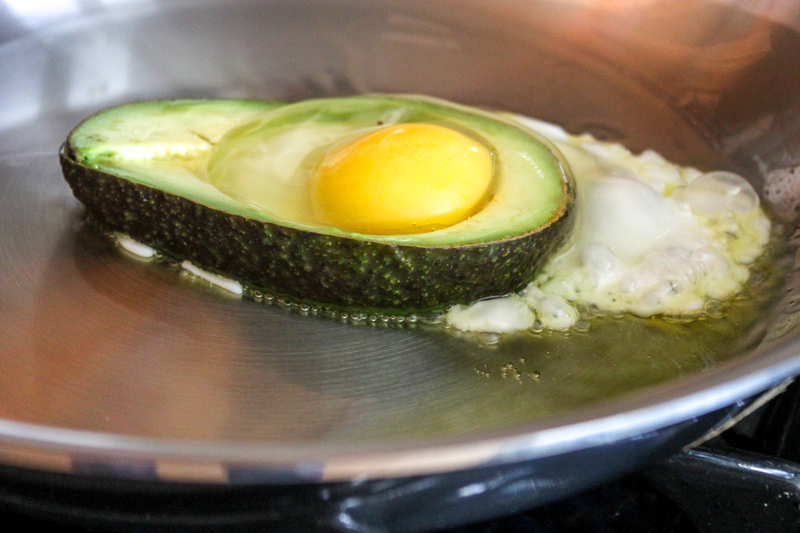 Add the avocado slice and crack an egg inside of it, cooking the egg til the whites are firm and cooked all the way through. Then flip it and cook the top. Serve with some fresh black pepper and sea salt. Maybe some cilantro?